Solved! What Is a SEER Rating? If you're in the market for a new air conditioning unit, get the 411 on these important numbers and how they should factor into your shopping trip. Q: My 15-year-old air conditioning unit finally gave up, so I’m in the process of shopping for a new one. I’ve heard that SEER ratings are an important consideration when choosing a new model but the numbers are confusing. What is a SEER rating anyway, and how it can help me get the best air conditioner for my money? A: An air conditioner is a big-ticket item, so you’re doing the smart thing by finding out all you can before you write that check. The Seasonal Energy Efficiency Ratio (SEER) relates to how much energy—and money—an AC unit will use in operation over the course of one year. The United States Department of Energy (DOE) requires all new air conditioning units to meet minimum efficiency ratings identified by these SEER numbers. And you’ll find many options that go above and beyond those minimums, as manufacturers have made significant advancements in technology and efficiency since your old AC unit was produced. In short, the number “lets homeowners compare one system to the next and understand which is more efficient,” says Tim Brizendine, Director of Product Management and Cooling at Lennox. To get a better understanding of SEER ratings and why they matter, keep reading; we’ll explain what the numbers mean and how you can make use of that information when choosing your new air conditioning unit. Air conditioners on the market today range from 13 to 25 SEER. The higher the number, the more efficient the unit—and the more you’ll save on utility bills. The rating itself is determined through calculations of a unit’s average performance—the amount of cooling an AC system puts out per the units of energy it uses to do so—but it’s a pretty simple concept. The less energy used, the higher the SEER rating. “As the number increases, we get a higher efficiency system, which means lower utility bills for the homeowner,” Brizendine explains. How much you’ll actually save on your utility bills depends on the size (and insulation factor) of your house, how much you pay per kilowatt hour for electricity, the SEER rating of the unit, and what it’s currently costing you to cool your home. You can estimate the savings a new appliance with an improved SEER rating would bring you using one of many online calculators, or you can download a spreadsheet calculator from Energy.gov. In 2006, the DOE began requiring all newly installed central AC units to have a minimum SEER of 13. Units manufactured in previous years were often energy hogs—many with SEER ratings as low as 6. The average central AC unit sold today has a SEER rating between 15 and 18, but higher efficiency models are available that come with numbers in the mid-20s. As of 2015, where you live affects the minimum-required SEER rating. That year, the minimum SEER was raised to 14 for people living in the southeastern and southwestern states, including Alabama, Arkansas, Arizona, California, Delaware, Florida, Georgia, Hawaii, Kentucky, Louisiana, Maryland, Mississippi, New Mexico, Nevada, North Carolina, Oklahoma, South Carolina, Tennessee, Texas, and Virginia. Because these states have the hottest summer climates, the DOE determined that an increase in the minimum SEER would save energy. Those not living in the states listed above may still have SEER 13 units installed. Northern states were not included in the increased minimum because where summers are cooler, homeowners use their air conditioners less often so there’s less need for high efficiency. Talk to your local HVAC contractor, however; just because you don’t live in the warmest states doesn’t mean you won’t still benefit from a SEER higher than 13. Some regions not included in above states still get swelteringly hot in the summer, and oftentimes homeowners can benefit from a more efficient unit. The higher the SEER rating, the more you’ll pay for your new AC unit. High efficiency comes at a price. “Higher technology—and higher performing equipment—offers better temperature control and better comfort level,” Brizendine says, but the advanced technology that goes into producing AC units with higher SEER ratings also increases their cost. For example, depending on the size of your home, choosing a 17 SEER unit over a 15 SEER unit could add $1,500 to $2,500 to the purchase price. Recognizing this, many air conditioning manufacturers—Lennox included—produce high-efficiency models alongside models in the minimum SEER range, and options at every level in between, “to meet budget requirements for everybody,” Brizendine tells us. The SEER rating isn’t the only factor to consider when choosing a new AC unit. 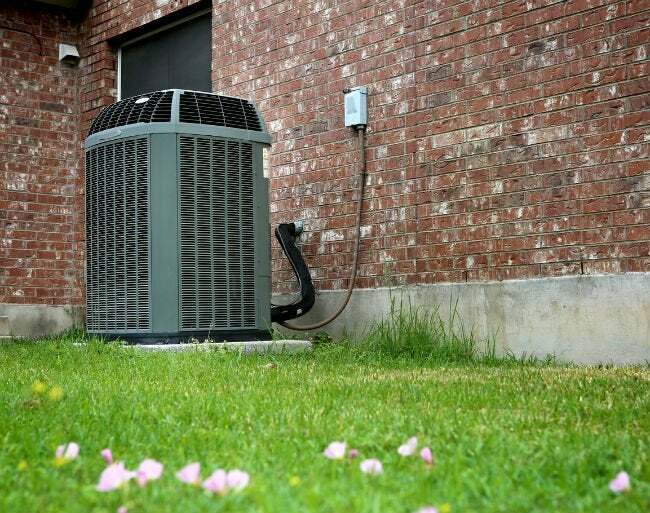 Your HVAC contractor (installing a new AC until is not a DIY project) will first determine the optimal size of the new AC unit. Once you know the size you’ll need, you can select your new AC unit, keeping in mind that the higher the SEER, the more efficient it will be. For most homeowners, opting for a unit with a SEER between 15 and 18 is a good choice because it’s a balance between the money you’ll spend for the unit and the amount you’ll save on utility costs. 17 Brands Born and Loved in the U.S.A.